This one’s for all you pumpkin lovers out there. Full on pumpkin everything when fall hits kind of lovers. I’m definitely part of that tribe, having already slammed my face into baked donuts, pancakes, quick bread, and this magical business. For those of you not familiar with this spread it’s pretty much pumpkin pie filling that you can eat for breakfast without people judging you aka fall’s answer to summer preserves. I tried a couple different recipes with crazy ingredients, but the one I ended up working with was straight up the simplest. No need to get too crazy. The thing I love about this stuff is that it takes just a few ingredients that you probably already have in your cupboard and elevates them to an impressive level in just 20 minutes + cooling time. You can seriously put this stuff on whatever you want: peanut butter sandwiches, your face, your dog’s face, cream cheese, ice cream, yogurt, or S’MORES. Pumpkin happens to go very well with chocolate so I figured let’s sandwich that between a graham cracker and a marshmallow and make dreams come true. This was also my first trip to the land of oven s’mores and now I’m hooked like whoa. LOOK AT THAT TOASTY ACTION. The chocolate got melted, the marshmallow’s all gooey. Just, just go and make this right now. Combine everything except the lemon in a large saucepan and cook over medium heat until the mixture thickens up nicely and darkens in color, about 20 min, stirring frequently. Butter will thicken even more as it cools. Turn off the heat, stir in the lemon juice, and cool before putting into the fridge. Keeps up to 3 weeks in fridge, do not attempt to can or preserve. Pumpkin is too dense to can and you’ll get sick the end. Turn on your broiler, lay out graham cracker halves onto a baking sheet. Top with a little bit of pumpkin butter, then about 4-5 bittersweet chocolate chips. Broil for about 20ish seconds, until chocolate just starts to melt. Top each square with a large marshmallow and toast for 10-20 sec. Don’t shut the oven door and keep your eyes on the prize. This is no time for phone calls or haircuts. 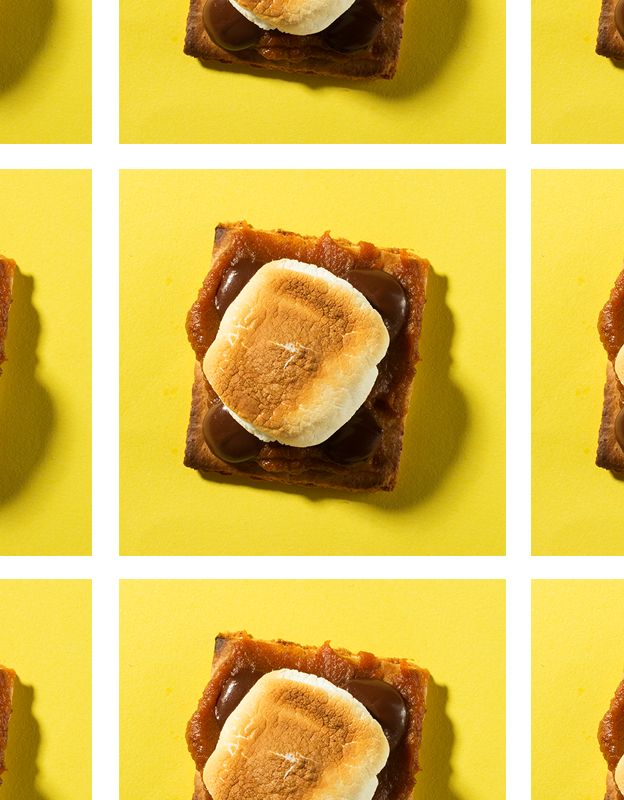 Top each one of the graham cracker halves with another half and serve to toasted gooey goodness. I’m definitely one of those pumpkin-obsessed people come autumn, so naturally I think this idea is brilliant! Now this is just and easy and awesome thing! And I do mean AWESOME! Love it! I can’t get enough pumpkin this season and I LOVE the idea of pumpkin butter. Definitely going to try this one. Thanks for sharing!! Pumpkin butter s’mores?! JUST STOP IT. I just made pumpkin spice marshmallows and this would just boost that pumpkin flavor like whoa!!!! Ramona eyes for everybody! I never thought to oven toast the ‘mallows. Duh! I normally skewer them and place them over my burner on the stove, nearly burning myself or my house down. guuurl…the styling, the recipe. YAAAMMMM!! (yum but really excited). OVEN S’MORES??? Brilliant! This has got to be the best pumpkin recipe of all time. 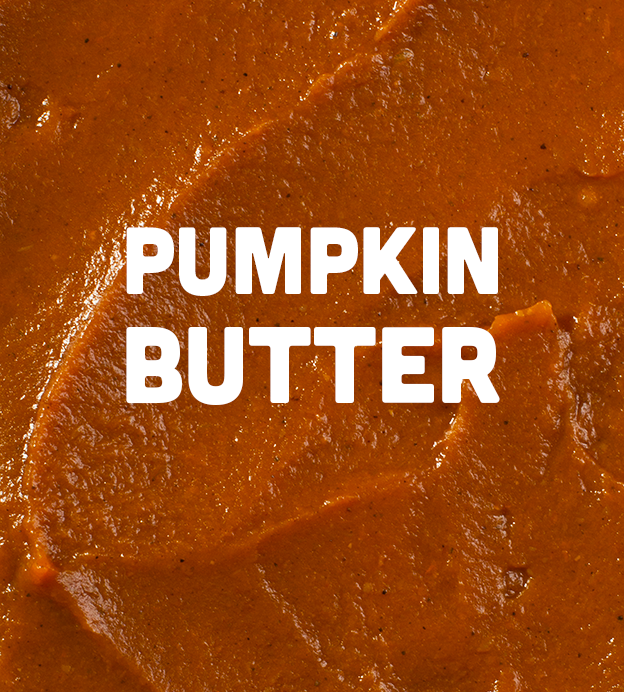 Pumpkin butter is THAT easy to make?! Oh heck yes. And you best believe I’ll be trying out this oven s’mores trick. I’m so glad that things like apple and pumpkin butter don’t actually have butter, so I can eat half a jar without feeling guilty. A pumpkin S’mores. Love it! OH MAN, THE S’MORES???? I want them. NOW. Yes, look at that toasty action! Love it! Oh, be my new bff. Pumpkin buttah from the cupboard? Shoot me now and get it over with already. Just took a trip to Dallas where I had deep fried pumpkin pie and deep fried s’mores. Next, I’m thinkin’ deep fried pumpkin butter s’mores. What do you think? I think this could be frozen. I’ve frozen apple butter, so this should work too. I freeze apple butter in jeffly/jam small canning jars. Giving this a go this weekend. If it works, then I will make a big batch while pumpkin puree is on sale. Oh my goodness, these are the prefect flavor combination! And your pictures are just amazing! Thank you for this delicious post! Woah, I’m usually not a huge s’mores fan, but s’mores with pumpkin butter sound really, really delicious. This may have to be a holiday family activity. Thank you for sharing.